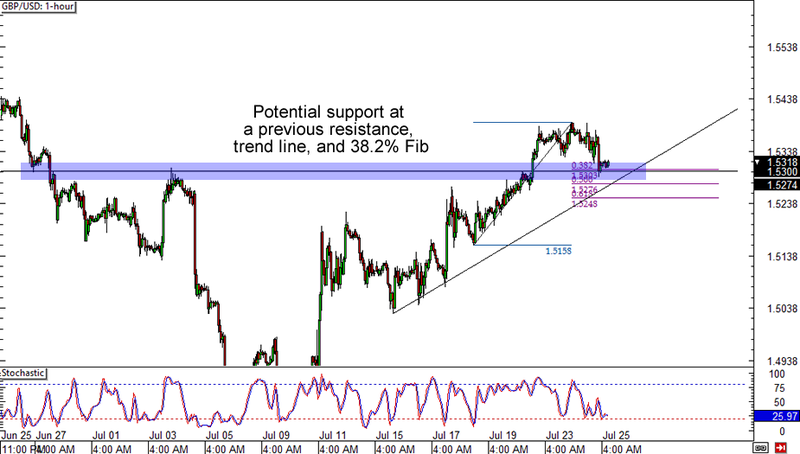 First up is a simple support and resistance play on Cable. It is currently having trouble breaking below the 1.5300 psychological handle, which shouldn’t be surprising as it’s also a previous resistance, trend line, and 38.2% Fibonacci zone. Think you can handle a long pound trade? If you can, then this one’s for you! 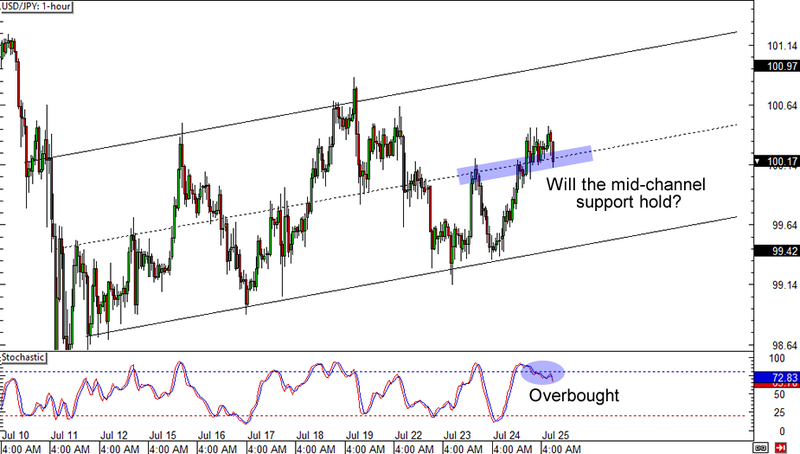 If you’re into trading the yen these days, then you better pay attention to a possible break in mid-channel support in USD/JPY‘s 1-hour chart. 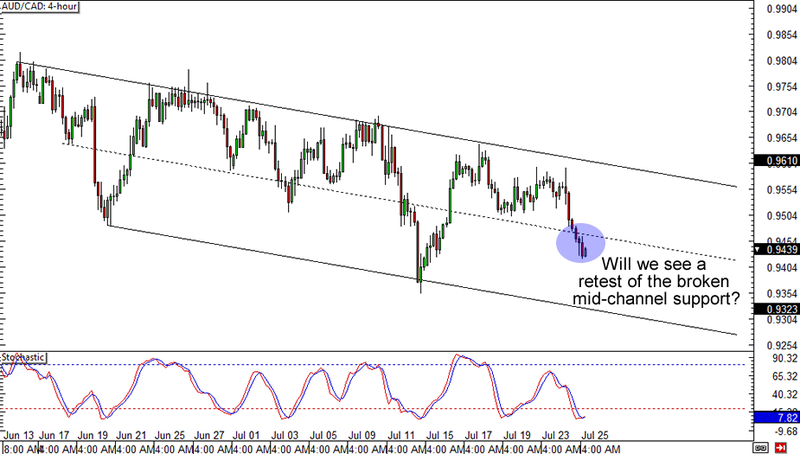 The overbought Stochastic signal could help the bears drag the pair all the way to 99.50, but until the support actually breaks, you should also keep close tabs on a possible jump to the 101.00 area. Last up for today is a nod to comdoll and currency cross traders alike. AUD/CAD had just broken a mid-channel support on the 4-hour chart and it doesn’t look like a reversal would be in the works anytime soon. You could short at market and place your stop above the mid-channel support if you want in already, but you can also wait for a possible retracement to get a better risk ratio.